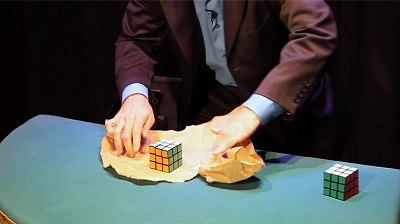 Cube FX is the most comprehensive instructional video available for learning how to perform amazing magical and mental effects with the most popular toy puzzle of all time. 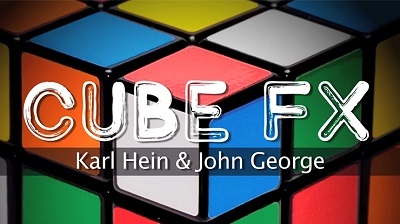 This 3 DVD set combines the learned experiences of both Karl Hein and John George who will clearly teach you their professional Rubik's Cube routines and give you dozens of ideas and effects to play with including: instant cube solves, matching your cube to a cube a spectator mixed, causing one thought of color to solve in the spectator's hands, blindfold solves, prediction effects and smart phone effects. DVD 1 - This extensive instructional DVD focuses on Karl Hein's professional three phase stand-up routine that he has performed around the world and on TV. 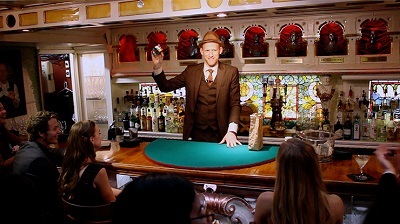 DVD 2 - John George teaches his version of Cube FX which regularly astonishes audiences. You will also learn an incredible close-up cube effect with a smart phone as well as be inspired by dozens of ideas and effects from two of magic's most innovative conjurors. DVD 3 - This DVD teaches beginners how to legitimately solve the cube and gives experienced cubers tips on how to improve their speed and do blindfold solves. 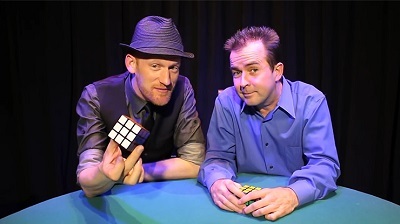 Common questions about the Rubik's Cube magic tricks are below.